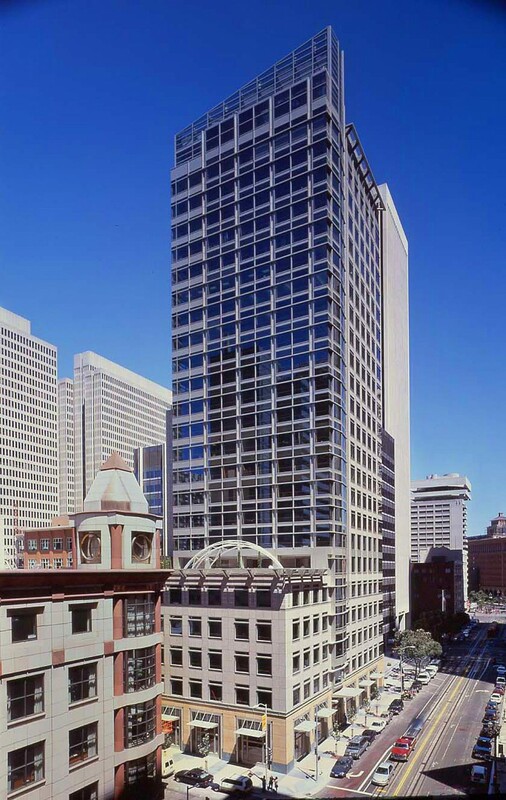 150 California Street is a 22 story office tower in the heart of the downtown San Francisco´s business district. 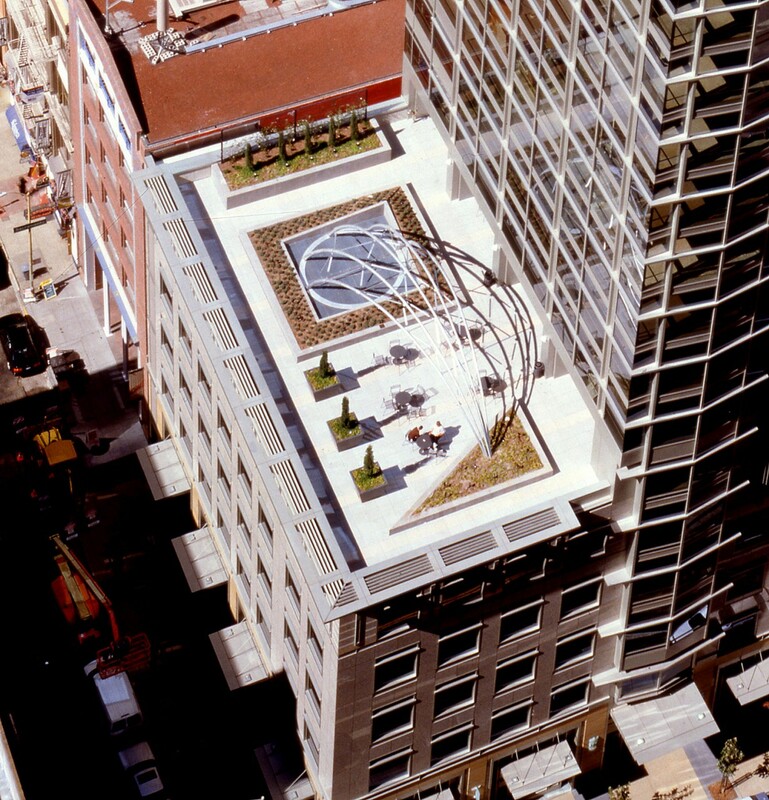 Its sixth floor roof garden provides landscaped outdoor space for the building´s workers. The owner´s unusual challenges to the artist were first to create a sculpture which would disguise and ameliorate a large air vent and diesel exhaust stack emerging into the roof garden, and second that the sculpture should add to the ambience of the garden for its users. 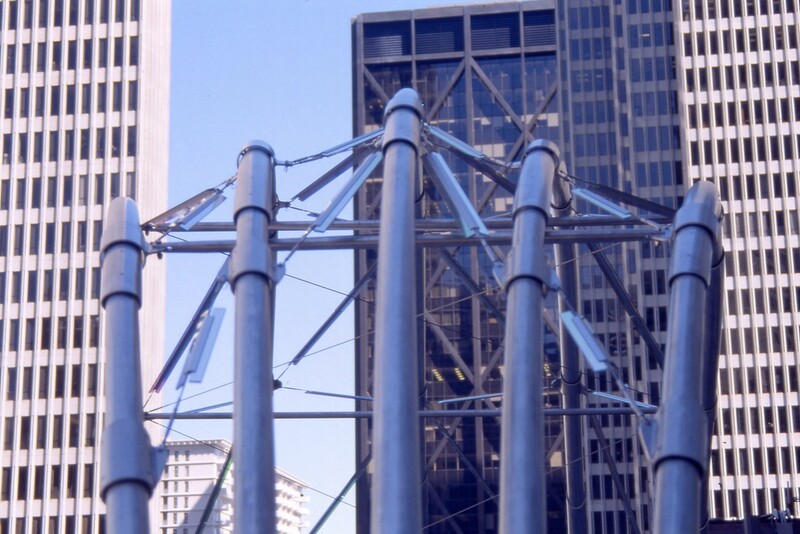 Ed Carpenter´s solution to this brief incorporates both the vent and the stack into an arbor-like aluminum and stainless steel tension structure. 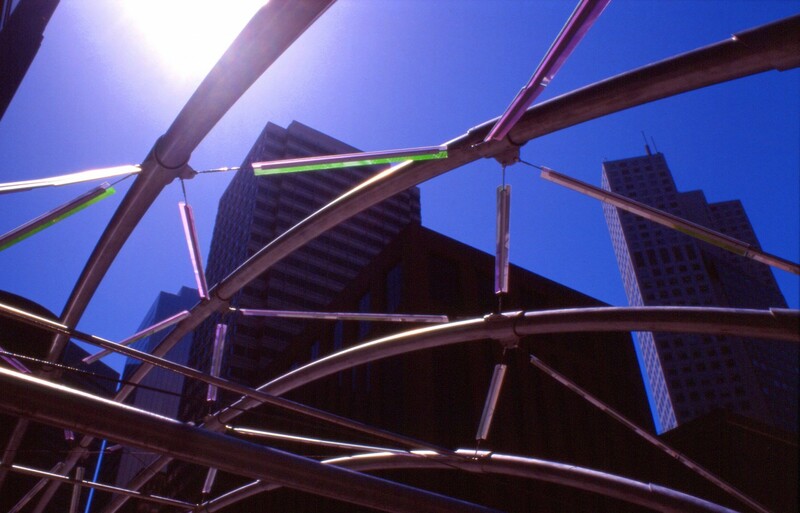 Integrated into the structure is a network of tension cables supporting laminated dichroic glass details designed to cast delicate projections and reflections of colored light onto surrounding architectural surfaces. 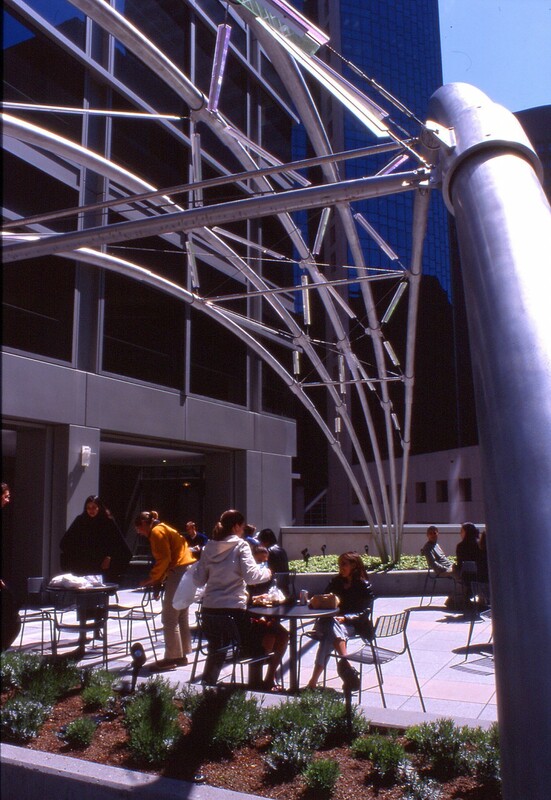 The sculpture provides an arching contrast to the surrounding skyscrapers and creates an inviting space beneath its 54´ span for workers on their breaks. 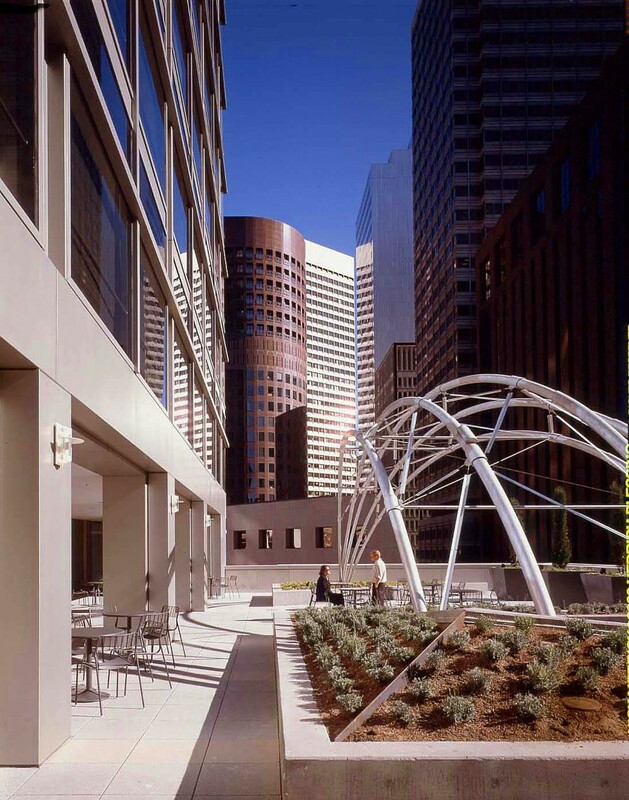 Client: EOP, 150 California Street, L.L.C. 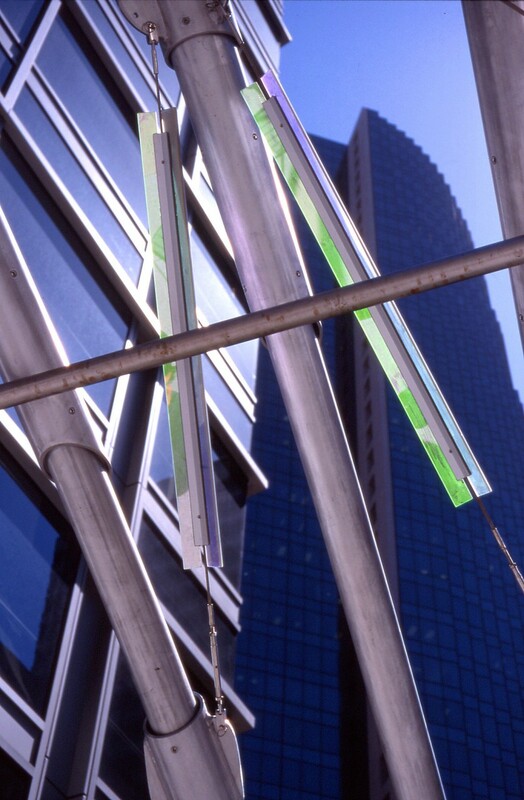 Materials: Aluminum pipe, stainless steel cables and hardware, aluminum channel, and dichroic glass. Art Consultant: Tamara Thomas, Fine Arts Services, Inc.